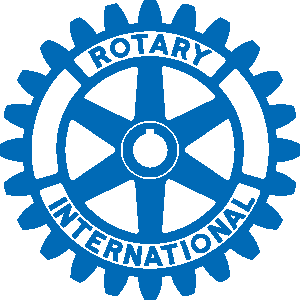 Saturday, April 13th, 7:00 p.m.
Rotary Club of Lancaster South presents its 19th annual Comedy and Magic Show, an incredible evening of family fun and entertainment for both kids and adults of all ages! This is our biggest fund raiser of the year with proceeds going to fund scholarships for students in Penn Manor, Lampeter-Strasburg, and Solanco High Schools, as well as the youth programs sponsored by the YMCA. This year's show promises to be one that the whole family will love! Featuring the acts of Tony Chapek, Brett A Myers, and Jarol Martin, you are sure to be entertained and amazed. Tickets are $17 for adults and $11 for children, and are available for purchase at the door. One of the great innovators in magic, Tony Chapek is a unique performer who has been delighting audiences for years with his innovative blend of magic, technology and humor. He has performed for millions of people from the showrooms of Las Vegas to the TV studios of Europe and Asia, as well as appearing on two network television specials: "Masters of Illusion" and "World Magic Awards" where he was named "World's Most Original Act". Tony has obtained some of the most prestigious awards in magic that include 1st Place at the International Brotherhood of Magicians International competition, the Society of American Magicians' People's Choice Award, and the rarely presented National Award for Originality from both organizations. One of the rising stars in the world of magic, Brett A. Myers is an illusionist who has taken his talents around the world, performing over 140 shows on military bases, in theaters, at colleges, for conferences as well as countless churches. Born in central PA, he began touring and entertaining at an early age. Brett and his lovely bride, Labrina, present a variety of amazing effects. Their desire is to create environments that inspire positive life change; and, to challenge each person’s perception of reality via their world of illusion. Most recently, Brett Myers and his entourage have taken summer and Christmas residence at the popular Bird-in-Hand Stage in Lancaster, PA.Brett is ready for the start of a 4th successful season in Lancaster with an all new "MAGIC AND WONDER" review. If you are near Lancaster, try to see the new review later this year. But, for now, enjoy this great illusion show. Born in Cuba, Jarol Martin felt a great interest in the secrets of illusion and the performance of magic and at thirteen, he was accepted in "La Casa de la Cultura," (The House of Culture) where he began his career as a magician. A credit to his skills, he was selected for a cultural project/tour that would take him all over his native country. On this tour, he was selected as the “Artist of the Year.” From there, he created and performed in variety shows all over Central and South America. With great acclaim, he was chosen to appear in Las Vegas in a show called "Tropiclaisimo". He has since been busy touring the USA and Europe. We are proud to present the original and classical magic of Jarol Martin. Looking for a great opportunity to showcase your business? Then why not place your ad in the Comedy and Magic Show program.